The state's senior senator is taking little for granted as he seeks a fourth term. WASHINGTON - U.S. Sen. John Cornyn, R-Texas, will begin his campaign for a fourth term with hefty campaign funds. Cornyn had $5.8 million in cash on hand at the beginning of this year, according to his campaign. 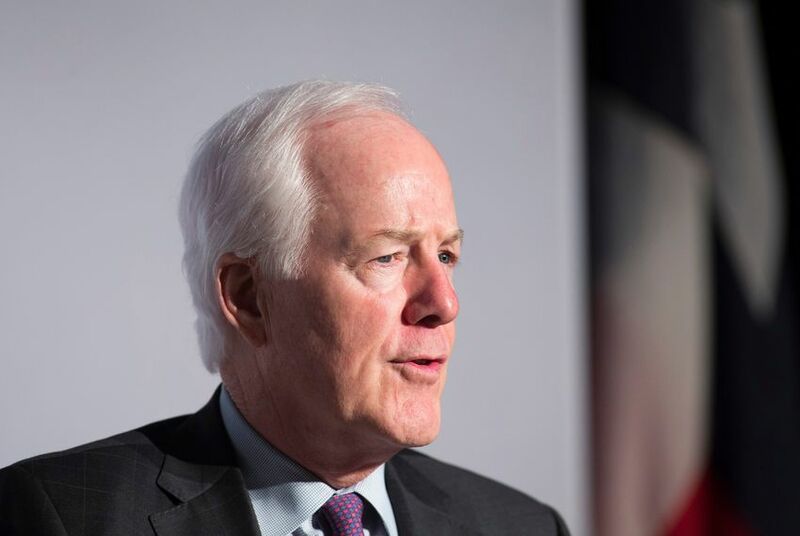 In the latest reporting period — between Oct. 1 and Dec. 31 — Cornyn raised $491,000 for his 2020 bid. It's unclear if Democrats will nominate a candidate who can seriously threaten the seat, but any Cornyn challenger will have to scramble to match the millions Cornyn banked during the off-cycle years of his third term. But it's not impossible, and Cornyn is clearly taking little for granted. Previously unknown El Paso Democrat Beto O'Rourke, then a U.S. Representative, came within three points of toppling U.S. Sen. Ted Cruz, R-Texas, in November, swamping the incumbent with record-breaking fundraising.